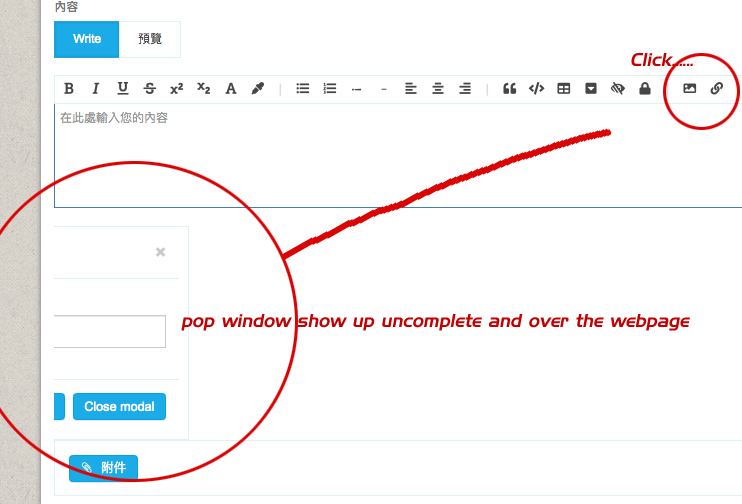 When the pop window show up , user can't close it if they don't like to using this function. the pop window show on the right position and incomplete. 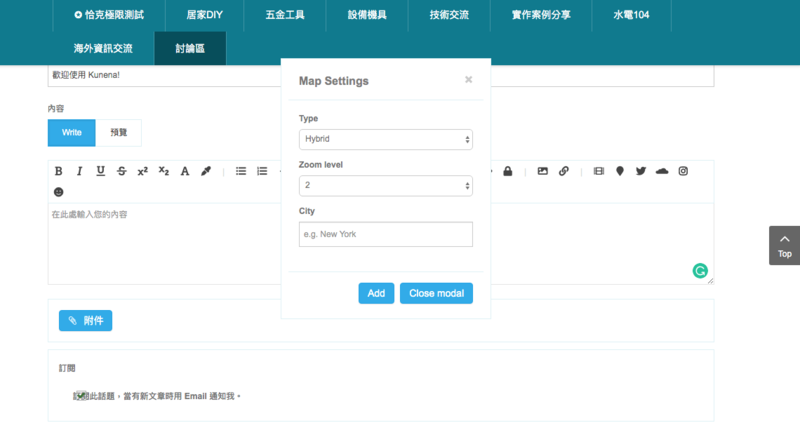 How can I exchange the button language in chinese? 2 days 5 hours ago	#1099 by Eugene S.
1. You have problem with Font Awesome library. Kunena uses Font Awesome 5.x and it seems your Joomla template uses outdated version of FA 4.x and loads both libraries. Make sure there is Font Awesome 5.x only included on your site. 2. Joomla template overrides styles for modal window. I need a URL and credentials to your site to have a look. 3. The Chinese language is completed up to 70% and Chinese Taiwan is completed to 58% and some strings are missed. 1 day 18 hours ago	- 1 day 18 hours ago	#1101 by Eugene S.
Kunena requires FA 5.1 and includes it while Joomla template uses the outdated FA version. You need to disable loading the old FA library. 2. Please contact Joomla template developer (Smartaddons) and ask them to fix this issue since their template overrides Kunena styles. 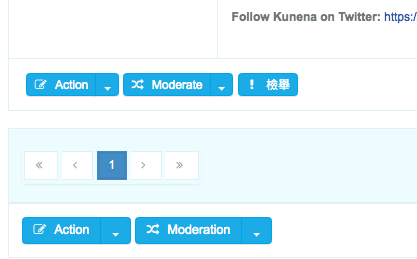 You can assign another Joomla template based on Bootstrap 2 to make sure all is fine with the Kunena template. Last edit: 1 day 18 hours ago by Eugene S.. I already follow your way to delete this line of style,but nothing happened. I'll make contact with my template provider and asking their help.